When Catherine Levene, the CEO of Artspace, called me to ask if I could design their brand new headquarters in the Financial District, I immediately said yes. Artspace is an incredible online gallery and e-commerce website filled with some of the most amazing art pieces that can be bought with the click of a mouse. 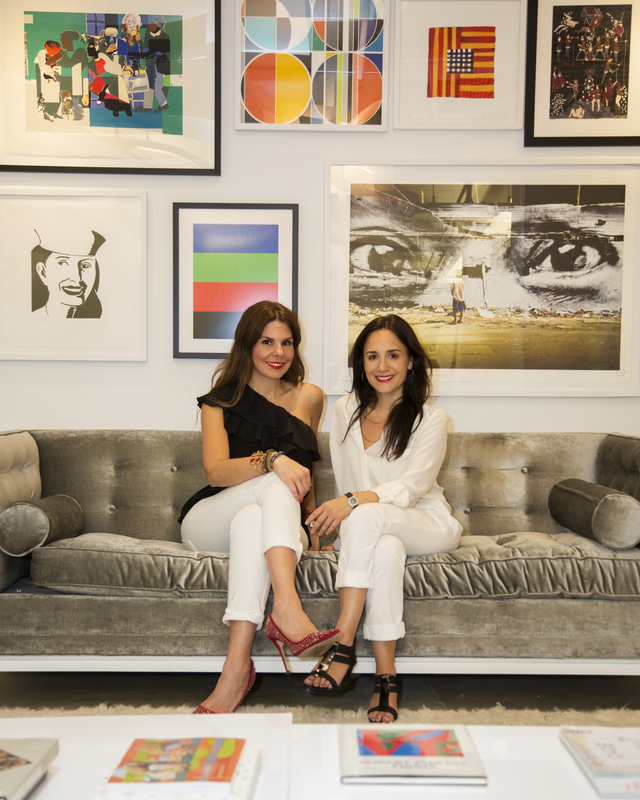 As pioneers in the art and technology space, Catherine and her team always bring to their clients and visitors the coolest content and the freshest contemporary art. Obviously, I relied a lot on artists not only for what we had curated on the walls but also for the selection of fabrics: Sarah Morris's in the lounge area and Rob Pruitt in Catherine's office. The project was so successful that it even made it to The New York Times. All the images below are by Marco Ricca. 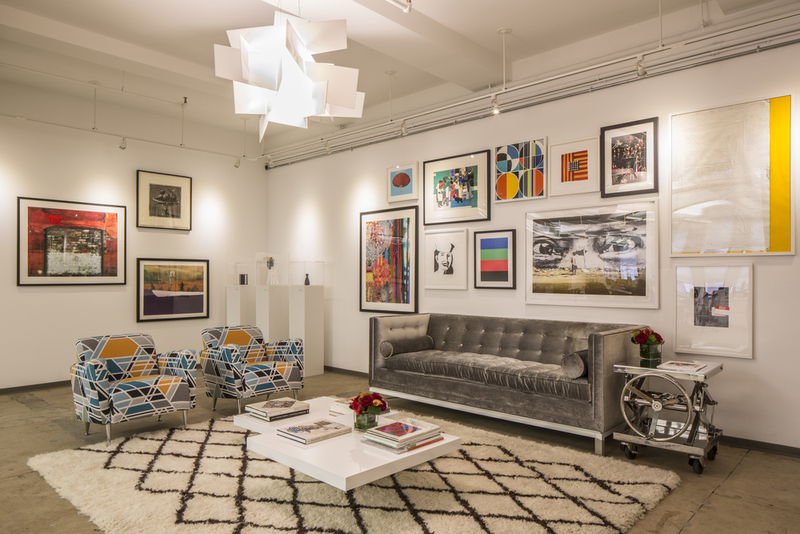 The lounge area where all the limited edition prints on the wall are by Artspace in collaboration with artists such as Assume Vivid Astro Focus and Alex Katz. The chairs were reupholstered using Sarah Morris's geometric fabric. Catherine's office with pink and purple. I love that she isn't afraid of showing that she is a female executive. The chairs were reupholstered using Rob Pruitt's panda fabric. The conference room with Eurostyle chairs upholstered in newspaper fabric. The photographs on the wall are a limited edition by Nick Cave for Artspace. The kitchen area with SLAMP pendants and lucite barstools. The photograph on the back is by Christopher Anderson.